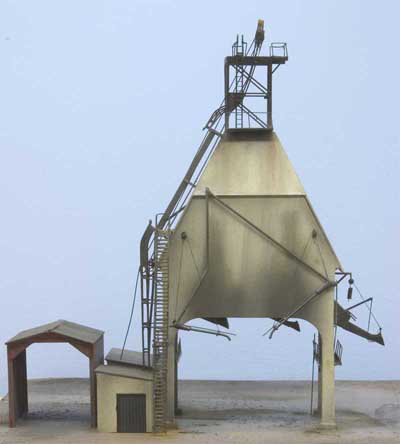 R&S Concrete Coal Dock N Scale - SOLD OUT - A second run can be made if demand warrants it. Please contact us to reserve one. 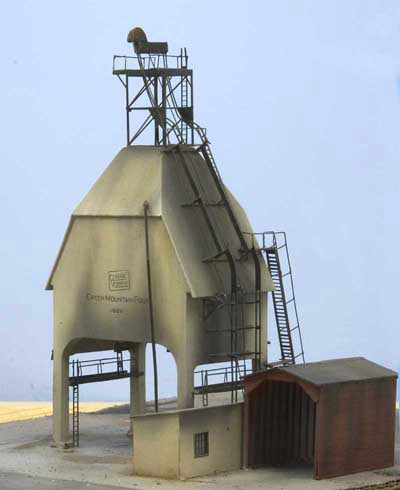 Based on a standard design by Roberts and Schaefer this N Scale concrete coal dock will enhance any engine service terminal. 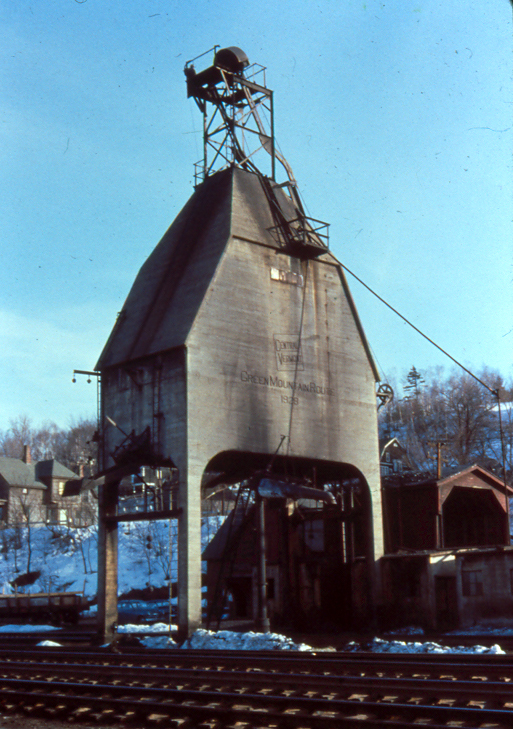 Originally built during the steam era to fuel and sand steam engines, many of these concrete structures still stand, some in use as sand towers. 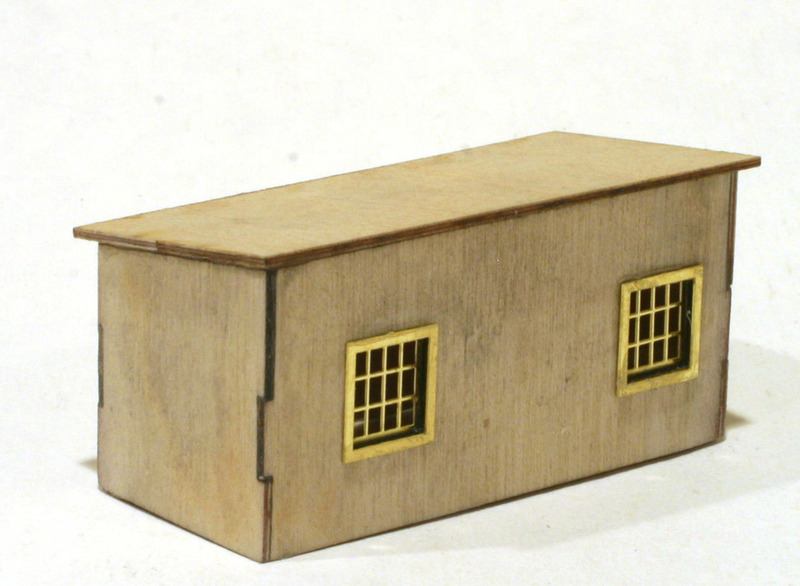 This model includes the optional Central Vermont logo engraved on one side for those that wish to model the coal dock at White River Junction. The engraved logo can be placed facing inward if you wish to model a plain wall. We can also custom engrave any logo you wish for a small extra charge. 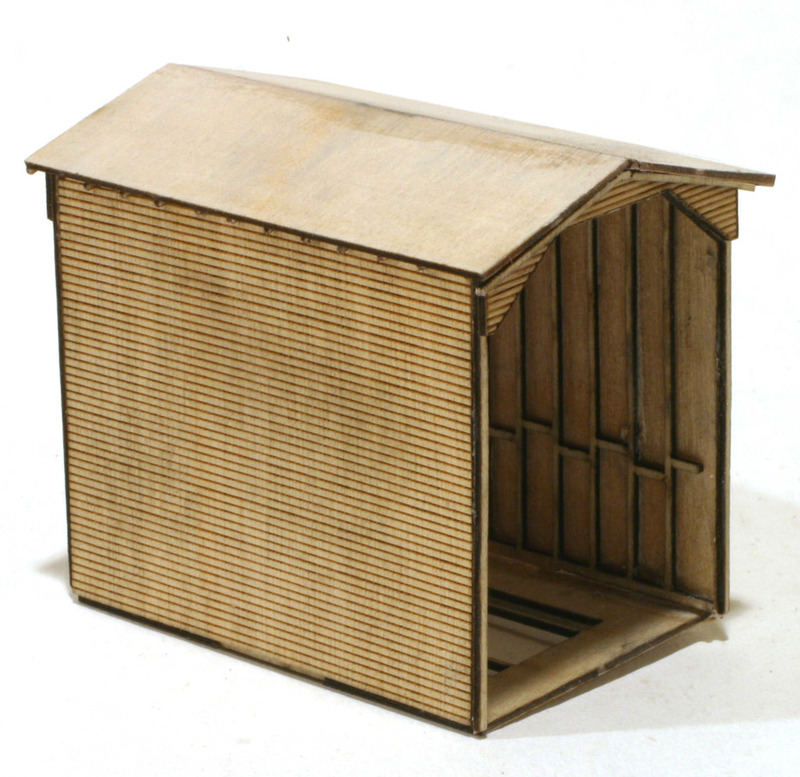 Please contact us at info@alkemscalemodels.com for more information. The laser cut parts glue easily together with Plastruct ABS cement, creating a precision base structure. The etched parts add a level of fine scale detail. They can be glued or soldered. A customer, Mark R. says, "The kit has been as good as I have built. As good if not better than the best I have seen. I can see that you must be proud of your work." This fine scale multi-media N Scale kit includes laser cut acrylic parts to simulate the concrete frame, a large photoetched sheet of detail parts, three frets of laser cut wood parts, several pieces of wire and a full color instruction manual. Click here to download a high resolution color copy of the instruction manual in pdf format. The manual is a 2.0 MB file so a highspeed internet connection is recommended. It is full of more information about this exciting kit including prototype photos, detailed drawings and color photos of the model under construction. L 4. / D 4 in. / H 7 in.